Chinese family Khoe in Medan on Sumatra wants to sell their home. This home has a moving history. 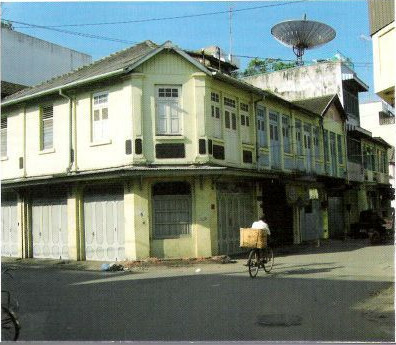 The property Jalan Hakka number two was purchased in 1968 by Khoe Hok Tiong and his wife Lim Kiam Sui when they moved from Sibolga to Medan. Jalan Hakka is located in the busy commercial center of Medan. Jalan Hakka mainly consists of rice wholesalers, where it is resold to the Medan retailers. Only at number two is there no rice business established, here is the transport company of the late Khoe Hok Tiong, also a transport company, but then for all kinds of products. A variety of goods is brought by the ‘becaks’ (bicycle taxis). Kitchen racks, bottles soy sauce, plastic baskets, chickens, all kinds of merchandise are delivered here. One company brings the goods to the Jalan Hakka, another fetches it and brings it to the appropriate store. There are some other buildings where no rice trade is located. That’s the house at number six, where the owner provides his living by gambling, and on the other side, without a house number is an eatery located for the active porters in the street. This shop is owned by Koentil with his seventeen children of which one of them always has time to prepare meals. 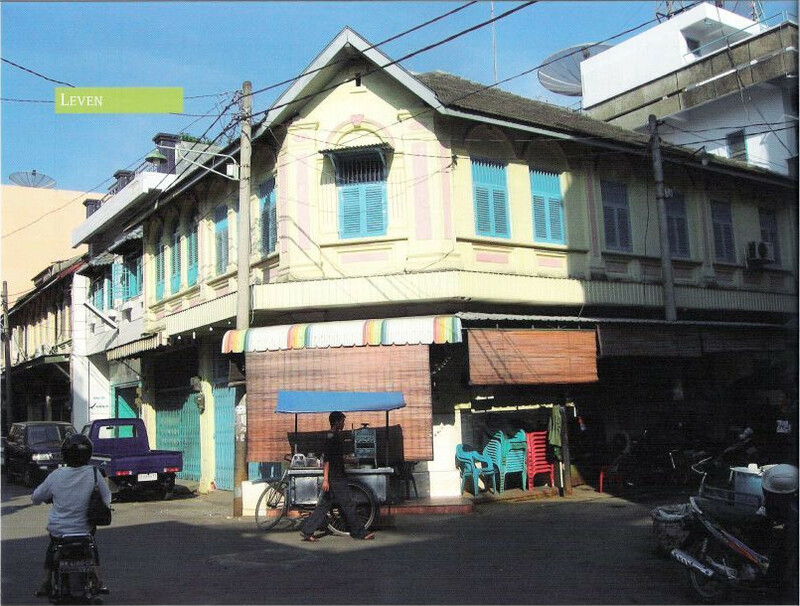 When Khoe Hok Tiong and Lim Sui Kiam moved into the house in Jalan Hakka, Khoe Hok Tiong established his transportation company. Over the years when the economy went worse the house was almost sold. Luckily this could be prevented so the family at least kept a roof over their heads. And it was not just their own children residing there but also some cousins ​​who went from Medan to Sibolga to study or to look for work. The house was always full; they slept with five people in a bedroom. That’s not considered a problem by many Indonesians and Chinese. They describe it as ‘suka ramai’ which means the more people the merrier. If this implicates that ten people live in a house with only two bedrooms, this is no problem. In the household noise was also not a matter of importance as they were accustomed. As with all Chinese ‘rukos’ (rumah-toko, shop house) the business was below and the family lived upstairs. The kitchen, bedrooms and the living room were located on the 1st floor. Right next to the small bedroom the television was turned on with a very loud volume and the family slept right through it. It was a story of rise and fall of the family. Even before the war, the father of Khoe Hok Tiong had a transport company in Sibolga. This company had dozens of cars, an ice cream factory and cinemas. The next generation spent all the money and lived in poverty. To escape the difficult conditions, the family departed from Sibolga and tried again in Medan. It was not without a struggle, and in the seventies it was poverty on Jalan Hakka number two. School fees for the children often were left unpaid and there was just enough money to make ends meet and kept everybody fed. Even though there was not much money, there was food on the plates every day. Cooking was a daily activity and it was a full-time job for the women in the house, from 9 am the house already smelled of sambal oelek and garlic. The mother Sui Lim Kiam cooked for the whole family and also for everyone who came along. With ‘Imlek’ or Chinese New Year, when there were prayers for the ancestors, the whole family came home to pray for the deceased relatives. Elaborate meals were prepared for this, especially in the later years when the family had more money. Then all the children and grandchildren lit up incense sticks for the salvation of the ancestors. After the religious ceremony all ate the tasty delicious meals prepared specially for this occasion. Although some children had become Catholic this was no objection. Two believes in a house is not a problem. When Khoe Hok Tiong passed away in 1985, the children were able to support themselves economically. The eldest son went to America, studied there and paid for his own study. In 1995 he returned to Medan where he was a lecturer in computer science. The eldest daughter Ai Hap, had started a Travel agency in which she was assisted by her sister A Guek. The youngest son Si Siong initially worked with his sister but afterwards started his own trading company. He lived with his wife and daughter in Jalan Hakka number two. Shortly after the eldest son Sui Teng had returned in Medan, the mother Sui Lim Kiam died. After her death the house in Jalan Hakka was offered for sale. For advice on the sale Si Siong’s wife went to the temple where she was told that the house could not be sold. The ‘biksu’ (priest) in the Chinese ‘Klenteng’ (temple) said Jalan Hakka number two is unfavorable according to the teaching of the” Hong Sui, this is the doctrine of wind, air and water because the adjacent building is a house of prayer, a Methodist church, in this case. However for the Medan Chinese the location in Jalan Hakka is attractive because it is close to the commercial center. The family of Si Siong’s wife is convinced of the importance of the opinions at the temple. The priest is consulted for a wide variety of issues. Whether it is the date of adoption, or a wedding, the type of school where a child is sent to, business decisions, questions about social relationships, for all kinds of questions the family goes to the temple for advice. However, the opinion of the temple is not always true. When years ago a ferry sunk and it was feared an acquaintance was drowned on that boat, the mother went to the temple with a photo of the person and showed it to the priest. He replied bluntly to her question whether he was still alive, ‘No, he drowned’. Fortunately he was wrong because that same evening the news came that the person was miraculously saved. The family who continues to live in Medan attaches great importance to the opinions of the temple, while those who have lived abroad disregard this. Meanwhile, Jalan Hakka is still not yet sold. Perhaps the priest might be right after all.